I like the blue and it's for a good cause. Wish Ana was actually playing instead of just modeling. Nice colorways, ridiculous marketing campaign. 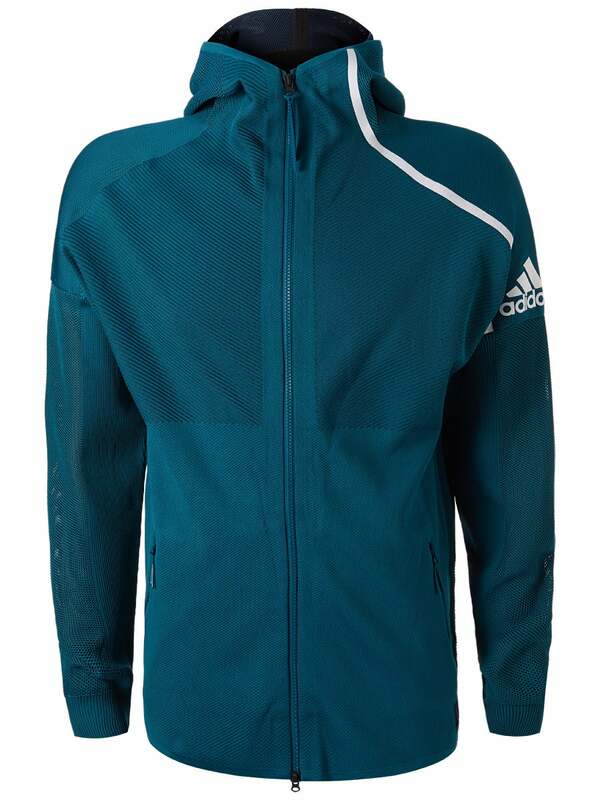 Very similar to last year’s adidas AO kit (at least on the men’s side) that didn’t sell well. They deepened the blue and added a cause. I think it's awesome, love the colors and the ocean theme. I'll buy a lot of it. Can't make up my mind between the white or light blue barricades. How is the marketing campaign ridiculous?? Australia is known for its ocean and coral reefs. Also, the amount of plastic in the ocean is getting really out of hand. I'm not going to get into the details here. It just seems to make sense to market this line during the Australian Open. No need to get aggravated. Obviously everyone knows the marketing is a bit exaggerated in terms of their claims of how much it actually helps the oceans and environment. Every company's number one priority is selling products to make profit. What he and hopefully most people agree on is at least the message and idea of the marketing for Adidas this time around is a good cause and should be supported. Of course it's marketing, but it can generate some awareness about a serious issue that affects us all. I can't see how that's a bad thing. Furthermore, if consumers gravitate towards more sustainable options that can have a ripple effect in the industry. Even the fact that we're having this discussion is a good thing. I'd encourage anyone who thinks plastics and waste aren't an issue to Google the Great Pacific Garbage Patch. 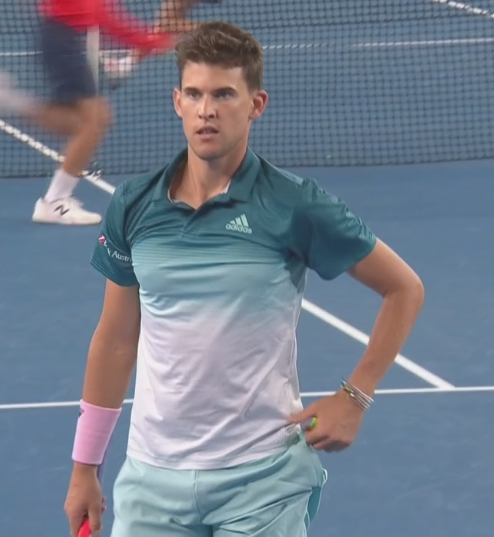 Also, I feel like Adidas takes tennis more seriously than Nike at this point. I have lots of older Nike tennis apparel, but it seems like they've been phoning it in for a while now. At least Adidas tries. Does Nike tennis even have an Instagram page? I like the design & colors. The fact that it can even help a little bit in getting plastic out of the ocean makes me want to get it more. I saw Thiem play Paire today, I love the kit (I'm partial to teal/green shades anyway). The jacket and shorts looked great with that polo. Also, nice messageat the end - inline with the bracelet that he wears - where he signed on the camera lens (save the oceans). Thumbs up from me. Per Nike Tennis 4U: "Nike officially launched it's "Just Do It For The Dump" Campaign in direct competition with Adidas' play for the ocean line of expensive clothing and shoes. Said CEO Phil Knight "Every one knows that the majority of our gear ends up in the dump, in fact given our poor designs and high prices in our newest offerings, most of this stuff goes straight to outlet stores followed by a quick trip to the dump. Since we play such a vital role in filling our landfills we figured what better way than to make our clothing and shoes out of recycled garbage. " Nike Tennis designer Jean Claude DuPoint chimed in "We at Nike are all aware of the filing of our landfills with plastic including those annoying green straws from Starbucks. As a result nearly 1% of Serena's cat outfit at this year's Australian Open will be made out of recycled straws from starbucks; please don't ask how we got them but intercepting them from going to the landfill and turning them into this head scratching outfit was well worth the effort." Celebrity stalkers noted Ben Stiller exiting the Nike Campus in Portland Oregan; no word from the reclusive star as to the rumors that he is reprising the "derelicte" line of clothing into sportswear for Nike. Except this is green wash BS for the uninformed. Bigger plastics are problematic but so are microplastics, pieces broken off from plastics based material, and there's no stopping it! You really want to stop plastics, stop buying plastic anything period! I like these kits. Great colours for summer. I thought the combo Munar wore against Fognini looked really good. I do like the green theory of the line. Hopefully, more companies, apparel and otherwise, will adopt similar company strategies of making an attempt to produce products in a more environmentally friendly manner.